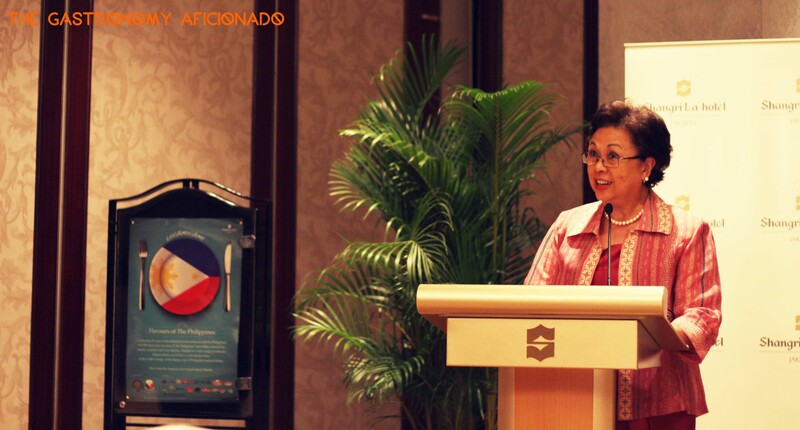 Commemorating the 65 years of friendship between Indonesia and The Philippines; the Embassy of The Philippines to Indonesia supported by the country’s department of agriculture, chamber of commerce, and the national airlines are currently presenting the festivity of flavors of The Philippines’ cuisine at SATOO, Shangri-La Jakarta for only from 3 – 10 September 2014. Despite the close proximity between both countries; the culture and the cuisine are pretty much a first-timer experience for me, if you compare it to those that I know from Malay Peninsula or even as far as Thailand and Vietnam. Therefore, the official lunch with the ambassador was an important event to really give me the experience. After a vigorous opening from Her Excellency Maria Rosario C. Aguinaldo, who is both an important element in the relationship between two countries and also an experienced bon vivant, we as her honorable guests were more than delighted to enjoy the best of The Philippines as presented by the young yet experienced Chef Jam Melchor. We were off with a good start from a ceviche-inspired dish made from ‘cooked’ tuna specially brought from General Santos (abbreviated as GenSan) of the southern island of the country. The excellent marination was a mixture of acidic spiciness from Sriracha sauce and the umami flavor was intriguing enough to reach the second chapter. 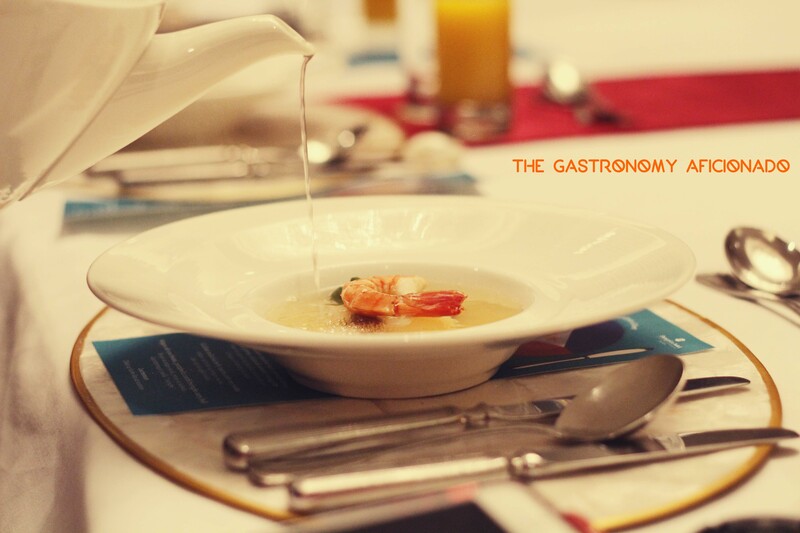 This time, it is the sayur asam of The Philippines or sinigang as they name it. According to a good friend of mine from the magazine I’m currently working with, the people of the archipelago are naturally fond of sour flavors and that it’s more sour than our usual sayur asam or garang asam. I have to agree with that, although this one was still in a friendly level of sourness and it was made complete with the use of shrimp, string beans, and a really good pineapple. The produce from The Philippines continued to amaze me indeed! 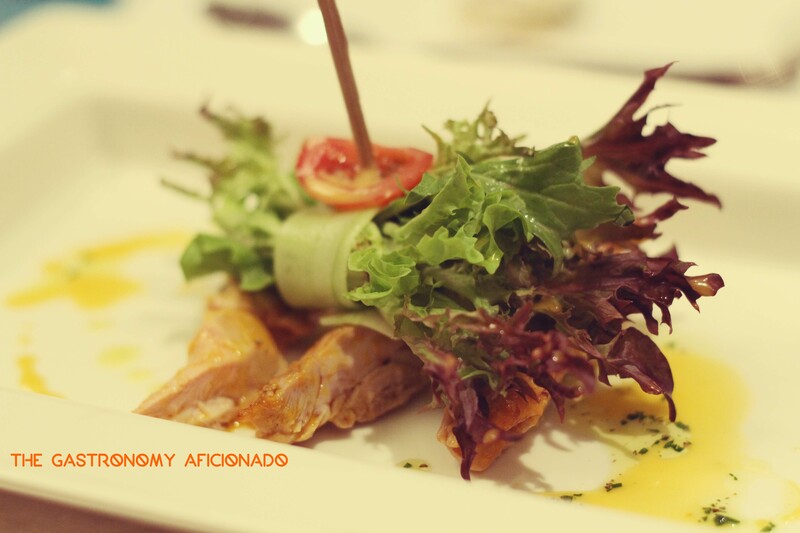 The third course involved roasted chicken brought special from Visayas region or known as the bacolod-style chicken. 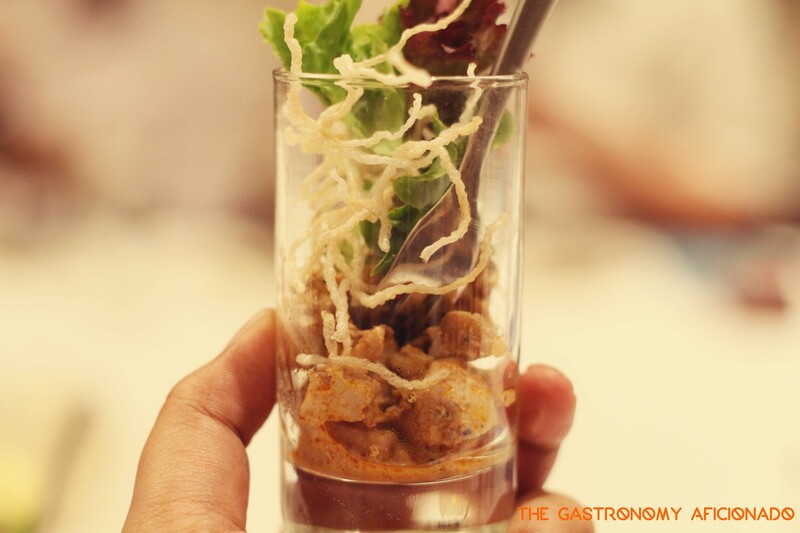 It was combined with Davao’s pomelo, mixed greens, and special vinaigrette sauce. I wished I could see more salad elements but certainly the chicken was the star, especially with the interesting mix of sour flavors coming from the pomelo and vinaigrette sauce. It felt so authentic indeed. The fourth course was the most dear to me as the chef specifically used a familiar ingredient that we all know as ikan bandeng or milkfish and it happens to be the country’s national fish as well. The fish was grilled nicely and moist in the interior. It worked perfectly with, what I would assume as The Philippines’ kecap manis sauce, and complemented with the unique crab roe risotto. 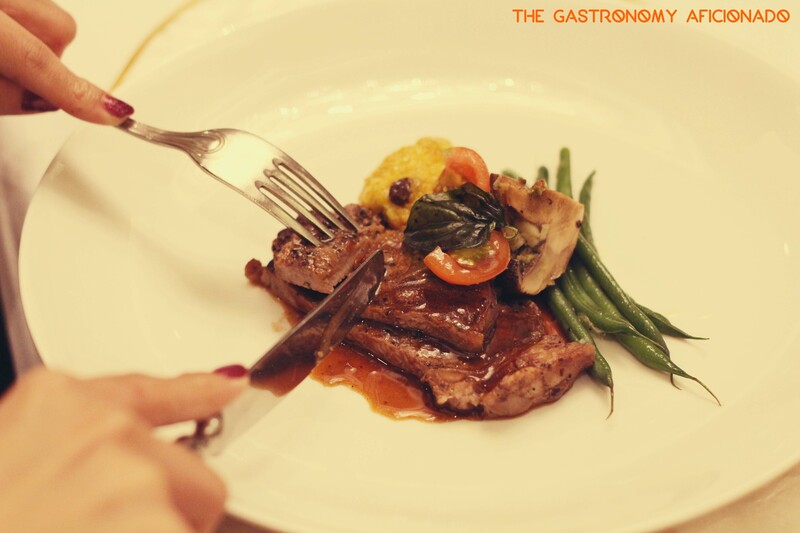 The final main dish came from Angus rib eye steak with The Philippines’ curry ball filled with quail’s egg. The curry ball was made from sticky rice, tasted unlike Indian curry but works well with my palate, and combined with raisins to make it feel sweet as well. The quail’s egg was of course, a good surprise. Other than that, the steak brought great satisfaction as well. Finally, since The Philippines’ culture are mostly inspired from the Spanish civilization, that’s why a good flan is a must for a good ending. 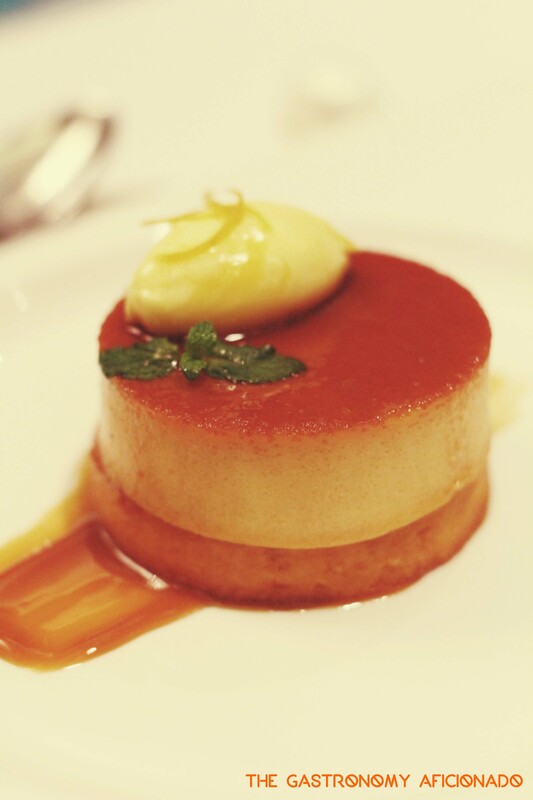 The custard was served upon mamon or a flat bread that works well with the flan‘s smooth texture. To make it even more colorful, the chef put the lemon cream on the top of it. Scoop it altogether at the same time and you’ll be more than pleased to enjoy it until the last dig. It was a pleasant experience for me but I have to agree with the ambassador. For them, our flavors are probably too overwhelming especially with the ‘excessive’ use of spice here. 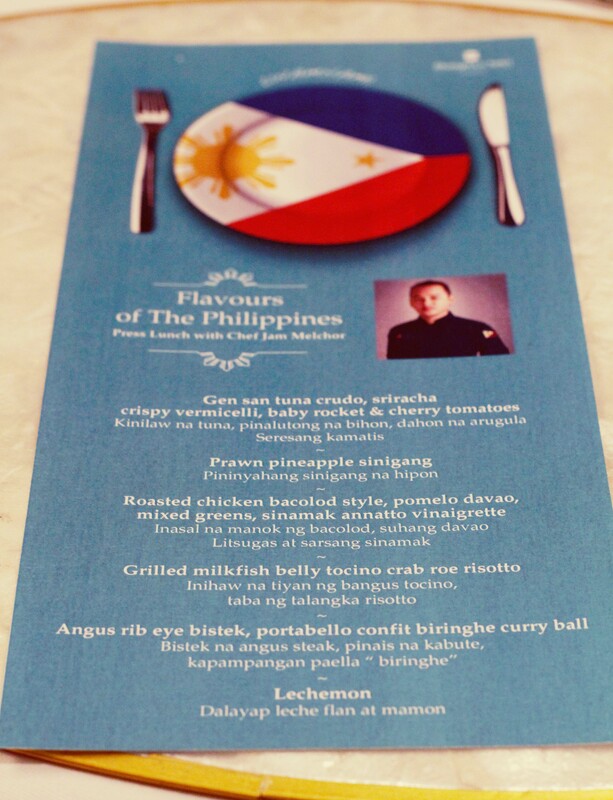 For us, it might be the contradiction but I’d like to think that The Philippines are doing their best to produce the maximum flavors from the less liberal use of spices. 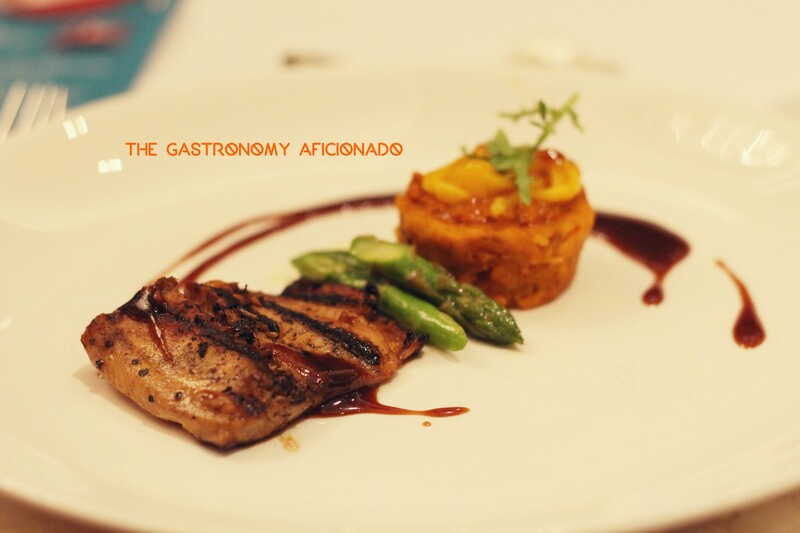 So, it is time for you to try the rest of Chef Jam Melchor’s creations and it will be in abundant of options. Me myself is planning to make another visit soon to SATOO to have more from The Philippines (crossing my chances at balut perhaps?) and I’d like to see you there enjoying a good time as well.